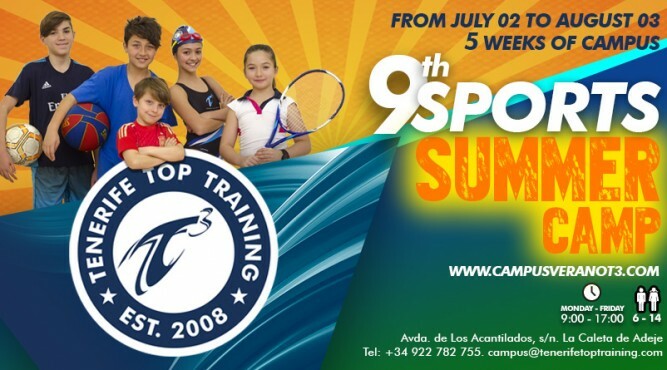 The next edition of the Summer Sports Camp at Tenerife Top Training is coming soon, focusing on bringing fun for the smaller ones using all the possibilities that our facilities offer. It is a well-known fact that our coaches work hard to get the most out of it! 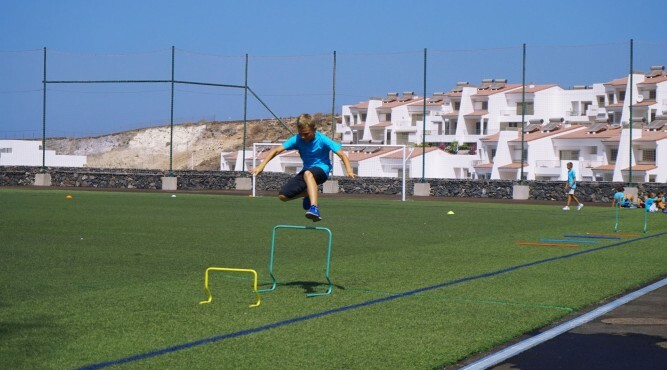 From sports like tennis, football, baseball, indoor climbing or swimming to active learning games such as treasure hunts or raft building, all aimed to improve the individual motor skills. We do everything for the children to ensure an unforgettable experience, while learning important values like team work and respect. This year’s camp again will fill five weeks in July. During the five weeks, our little ones gain a great insight into the multifaced world of sports and at the same time making new friends. The children will be supervised the whole time by professional educators and our personal trainers. We will be ready to give our youngsters a summer of joy, here at the centre where the professionals train! From the 2nd of july to the 3rd of august 2018! The Kids will have five weeks of sports, sun and fun!